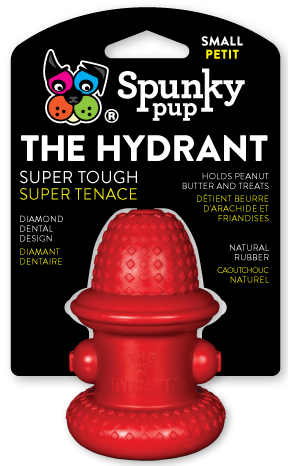 Spunky Pup Natural Rubber Hydrant Large. Textured to promote healthy teeth and gums. Fill with healthy treats. 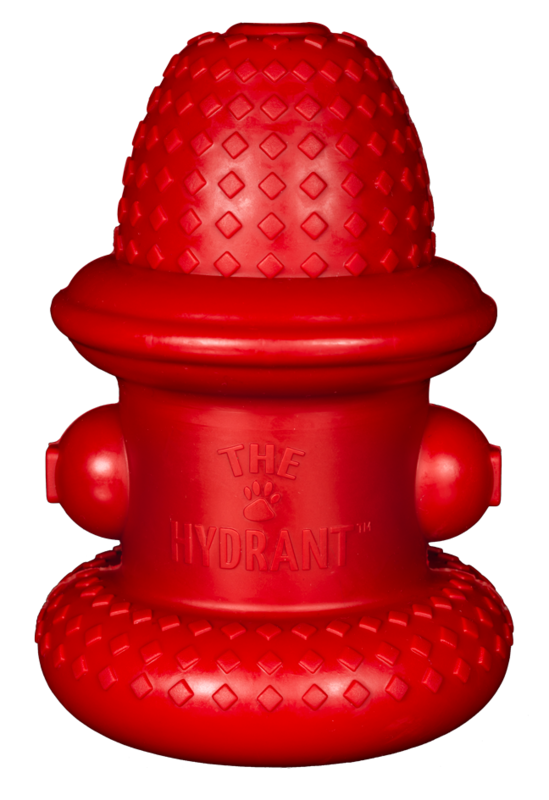 – Constructed with the most rugged grade AA supplementary double walled Natural Rubber from Hevea Brasiliensis trees.